The Multi Purpose – hotmelt laminating and coating system is very versatile. By combining a gravure roll er and a multi-roller system we create unprecedented flexibility in production, which allows you to quickly switch between a wide variety of materials, without having to take any losses in your production. 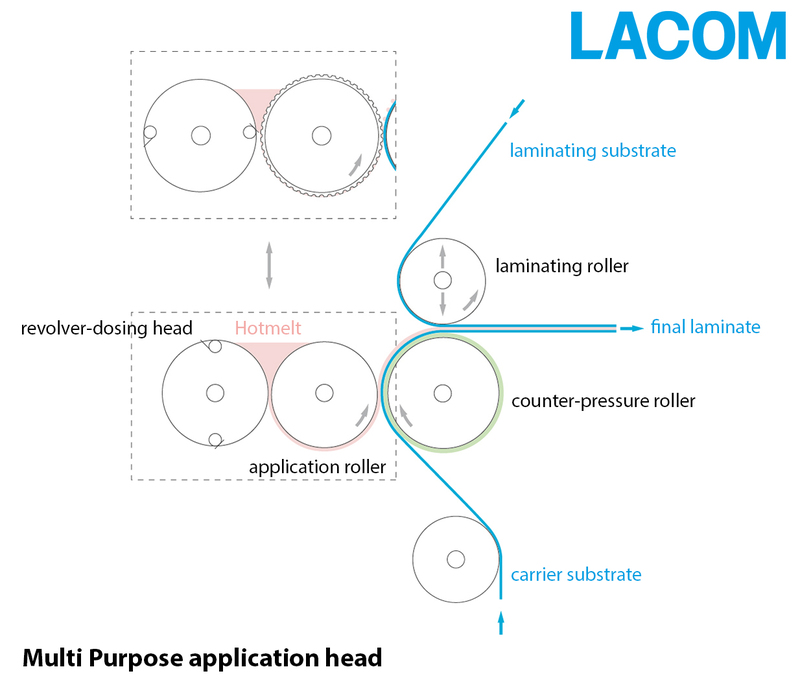 This is state of the art technology developed by LACOM.